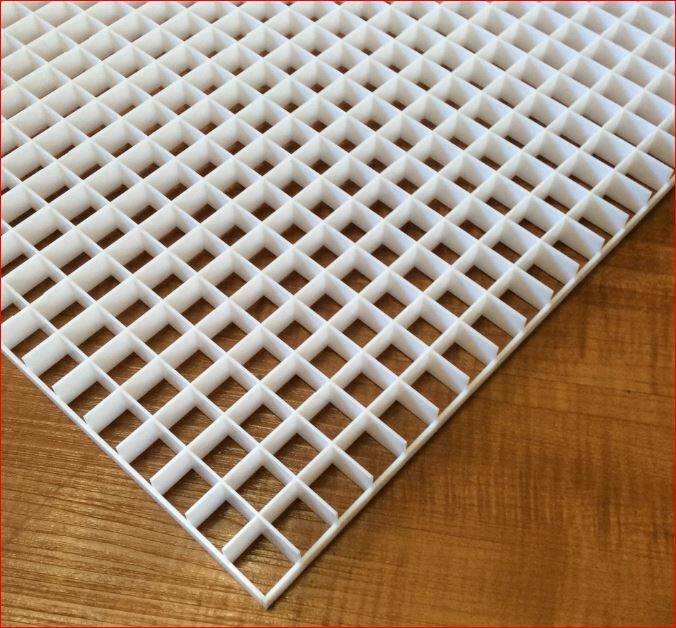 Injection molded 1/2″ Thick x 1/2″ x 1/2″ square cell eggcrate louver has a unique interlocking edge design so it can be butted together to form an almost seamless continuous joint. Nonparabolic plastic louvers are a very economical solution to many lighting and luminous ceiling applications. These louvers are molded in polystyrene or acrylic materials. The white panels are translucent and provide uniform illumination throughout the entire surface. Open cell design allows the light to be transmitted to the working area while reducing glare; in addition, this louver allows nearly unobstructed air movement which will increase the bulb and ballast longevity through more efficient heat dissipation. 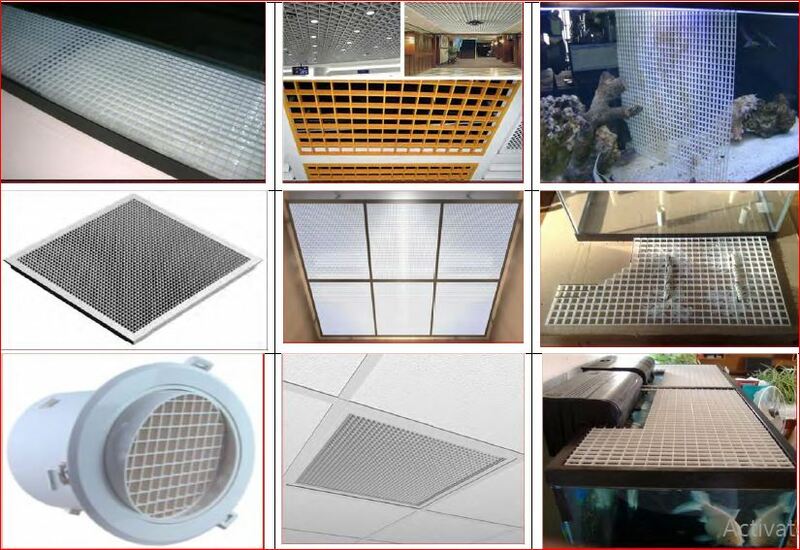 The egg crate louver is approved by UL for use under sprinkler systems and can be used in lighting fixture or luminous ceiling applications. The egg crate product is an efficient and economical light control device which will reduce glare and provide effective lighting. Material is ABS plastic. Indoor and outdoor The screen is a grid of dimples. It is designed to look comfortable, light, lightweight, easy to install, fast, strong, durable for value and beauty. Make a building Have innovation The standard model was developed to suit the needs of modern furnishings. In modern style, they are installed in a straight line, they can be applied as ceiling, curtain wall, filter, filter, air filter. 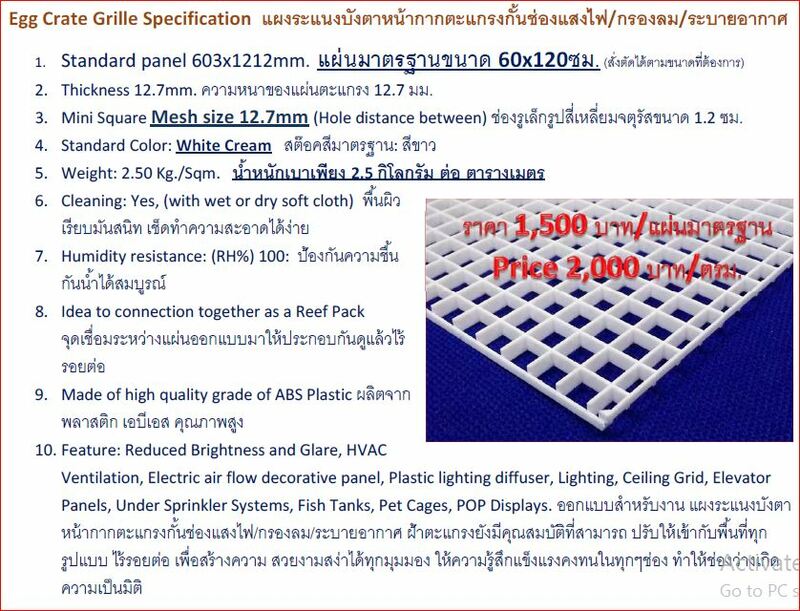 Building is generally used aluminum grating. (CELL CELLING) ceiling Inside the building In addition to the old-fashioned elegance, this grille The problem can also be solved. Inside the building give the pattern and rhythm of the connecting lines properly. The ceiling is a sieve. High durability. The special feature is easy disassembly. Can be decorated with bright colors, no stripping, no dirt, clean and easy to reach other special effects. 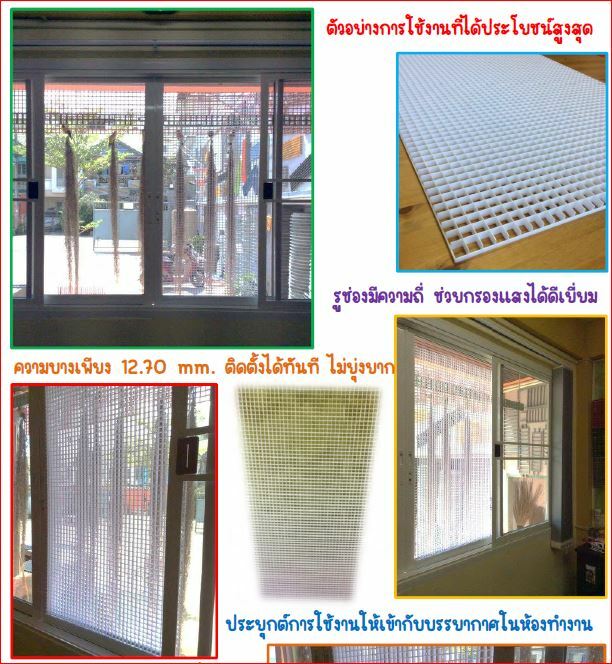 Suitable for guest rooms, swimming pools, shopping malls, exhibits, bus stations, showrooms, as well as other places. 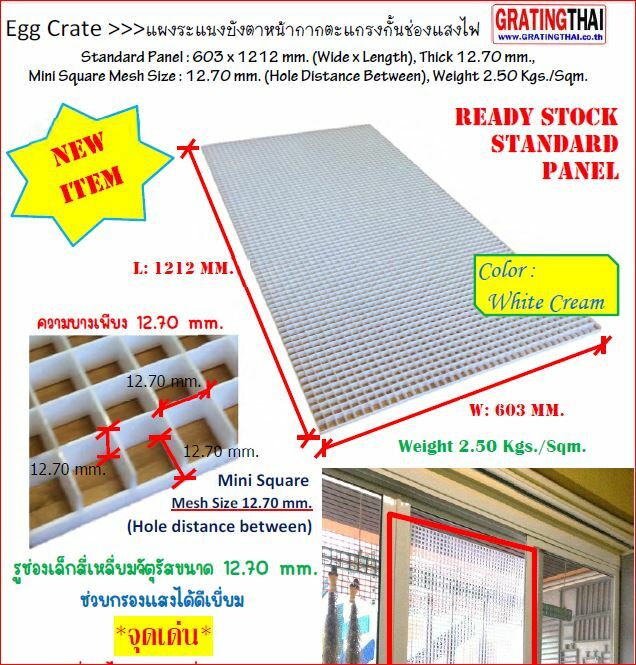 For those who have never been to a farm or dairy, Egg Crates are named after the cardboard grid that farmers would place in a box to keep eggs separate from each other as they were transported to market. On lighting fixtures, they help to control the spill of a soft source by limiting where it can go. In the real world, you may have seen them used in traffic intersections on “Walk” & “Don’t Walk” lights, keeping their lighted messages visible only to those in the crosswalks. Egg Crates are a valuable accessory for soft light sources. Shaped like a 3D grid, they are available in different strengths, differentiated by their angles of dispersion. So a 40 degree egg crate will limit the dispersion of the soft light to 40 degrees. Due to its wide front diffuser panel, the output dispersion of a soft light can approach 180 degrees, even tho’ its beam angle (the brightest center part of the beam) is closer to 90 degrees. This can lead to light spilling on areas of your set where you don’t want it. The solution used to be large flags positioned on stands & boom arms to keep spill under control, but the fast world of location work made this impractical. With the introduction of the, fast & easy to attach, fabric Egg Crate, it has become much easier to control the spill of soft lights in smaller spaces. 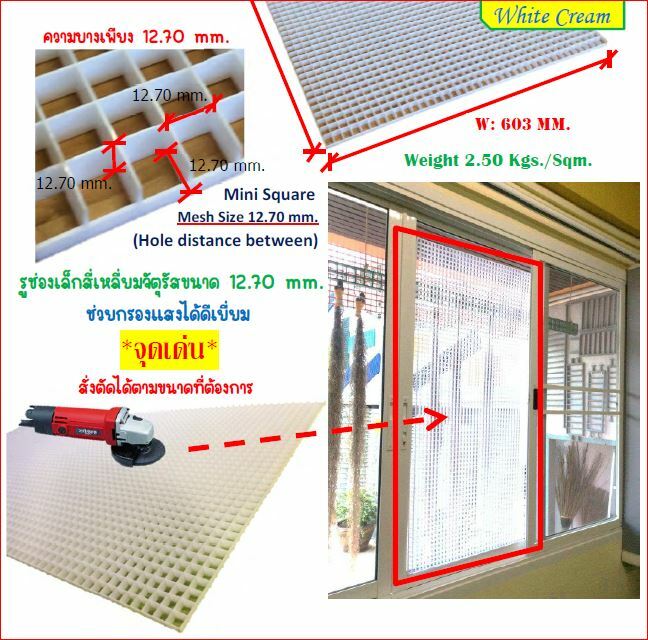 By using several smaller grid cells, an Egg Crate only needs to be a few inches deep, compared to the much larger barn doors or flags that would be needed for a similar effect. While it does not have the definitive shadow edge that a large flag would create, they are very effective in keeping spill from building up from on lightly colored walls, which can happen when using numerous lights. The resulting edge fall?off is very gradual, and that quality can be put to several unique uses:If you start to pan the light slightly away from a subject, you will see the light appear to dim as the Egg Crate grid cells begin to limit the amount of light striking the subject. Because you are not lowering the power to the lamp to cause this dimming effect, the color temperature doesn’t change as it would if you used an electrical dimmer. With two soft boxes as key and fill you can adjust their individual brightness very quickly. You can also take advantage of this gradual fall?off to provide a natural decrease in light intensity as a moving subject comes closer to the light. This keeps the image from becoming over exposed as would normally happen when a subject approaches a light source. Be aware that there is some loss of output when you use an Egg Crate. The amount of loss depends on the narrowness of the cells, so a 30 degree Egg Crate will have smaller cells & less output than a 40 degree. However, it’s usefulness in the difficult task of controlling soft light is too big an advantage to dismiss. 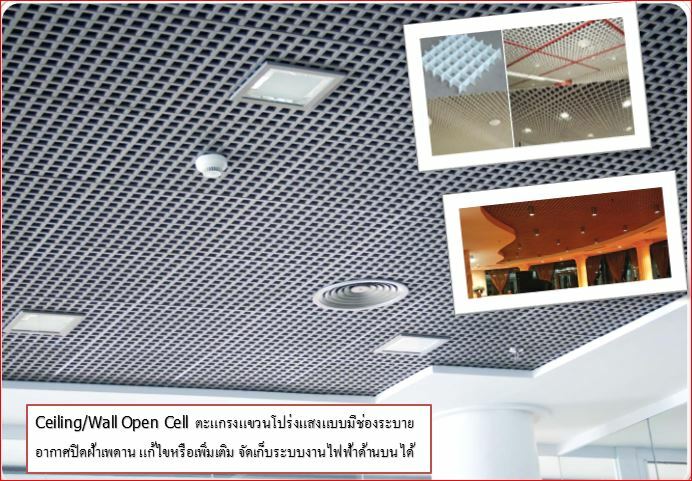 Find ceiling lighting panels at GratingThais?. We offer a wide variety of high-quality lighting panels in stock sizes, oversize, completely custom sizes. All are available for simple online purchase or pick up in our store. Since no two lighting fixtures are the same, we can cut each and every panel to the exact size that is needed. We stock clear and opal white styrene panels as well as variations in acrylic and polycarbonate material. We carry up to any sheet sizes (which must be cut for standard shipping rates). Styrene lighting panels are the most economical, lightweight and easy to use solution for almost any fluorescent lighting cover need. Standard sizes fit most drop-in ceiling systems as well many standard fluorescent lighting fixtures. We offer them in many different finishes and colors ready for use in commercial or residential locations including kitchen and bath fixtures, basements, office buildings, schools, garages and recreation rooms. 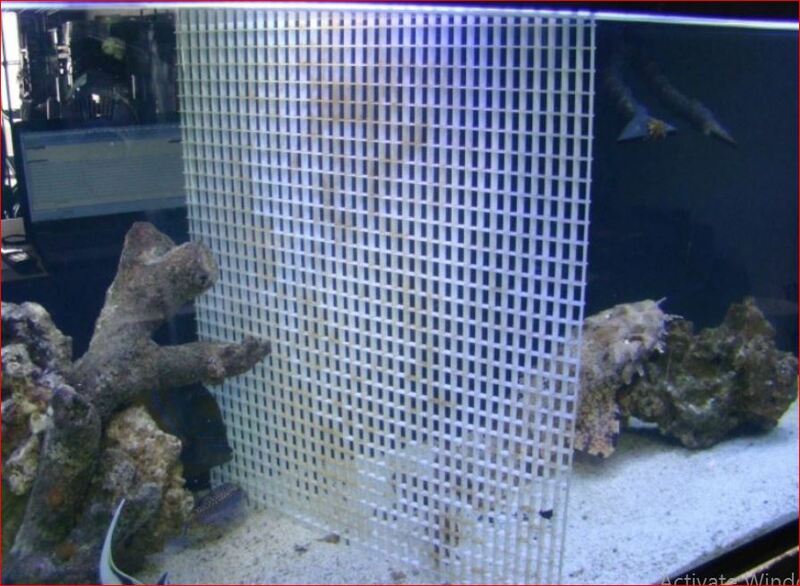 Egg crate louvers/diffusers provide visual comfort and lighting efficiency. The open cell design allows for free air circulation resulting in lower operating temperatures, which increases ballast life and improves lamp performance. Acrylic lighting panels are an economical, lightweight, and much stronger than alternatives. 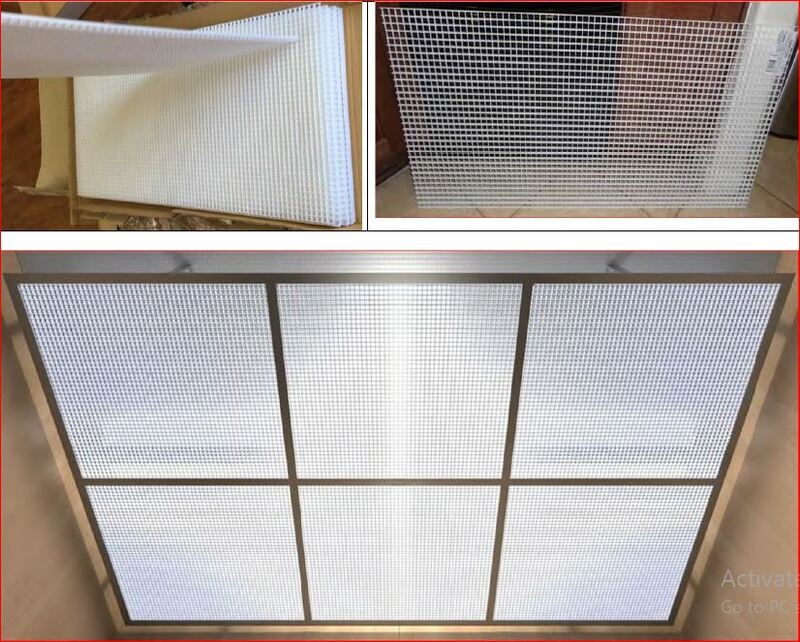 They offer an easy to use solution for all fluorescent lighting cover needs. Like styrene, they are available in multiple finishes and colors and are ready for use in a variety of commercial and residential locations.